Jun Wang is a Professor and the Director of the Computational Intelligence Laboratory in the Department of Mechanical and Automation Engineering at the Chinese University of Hong Kong. 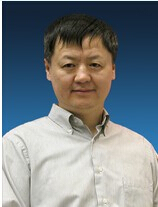 Prior to this position, he held various academic positions at Dalian University of Technology, Case Western Reserve University, and University of North Dakota. He also held various short-term visiting positions at USAF Armstrong Laboratory (1995), RIKEN Brain Science Institute (2001), Universite Catholique de Louvain (2001), Chinese Academy of Sciences (2002), Huazhong University of Science and Technology (2006–2007), and Shanghai Jiao Tong University (2008-2011) as a Changjiang Chair Professor. Since 2011, he is a National Thousand-Talent Chair Professor at Dalian University of Technology on a part-time basis. He received a B.S. degree in electrical engineering and an M.S. degree in systems engineering from Dalian University of Technology, Dalian, China. He received his Ph.D. degree in systems engineering from Case Western Reserve University, Cleveland, Ohio, USA. His current research interests include neural networks and their applications. He published 160 journal papers, 13 book chapters, 10 edited books, and numerous conference papers in these areas. He has been an Associate Editor of the IEEE Transactions on Cybernetics and its predecessor for ten years and a member of the editorial board or editorial advisory board of Neural Networks and International Journal of Neural Systems. He also served as an Associate Editor of the IEEE Transactions on Neural Networks (1999-2009) and IEEE Transactions on Systems, Man, and Cybernetics – Part C (2002–2005), as a guest editor of special issues of European Journal of Operational Research (1996), International Journal of Neural Systems (2007), Neurocomputing (2008), and International Journal of Fuzzy Systems (2010, 2011). He was an organizer of several international conferences such as the General Chair of the 13th International Conference on Neural Information Processing (2006) and the 2008 IEEE World Congress on Computational Intelligence. He was an IEEE Computational Intelligence Society Distinguished Lecturer (2010-2012) and served in many standing/technical committees such as the President of Asia Pacific Neural Network Assembly (APNNA), IEEE Fellow Committee and IEEE Computational Intelligence Society Fellow and Awards Committees, and currently is on the Board of Governors of the IEEE Systems, Man and Cybernetics Society. He is an IEEE Fellow, IAPR Fellow, and a recipient of an IEEE Transactions on Neural Networks Outstanding Paper Award and APNNA Outstanding Achievement Award in 2011, among other distinctions.